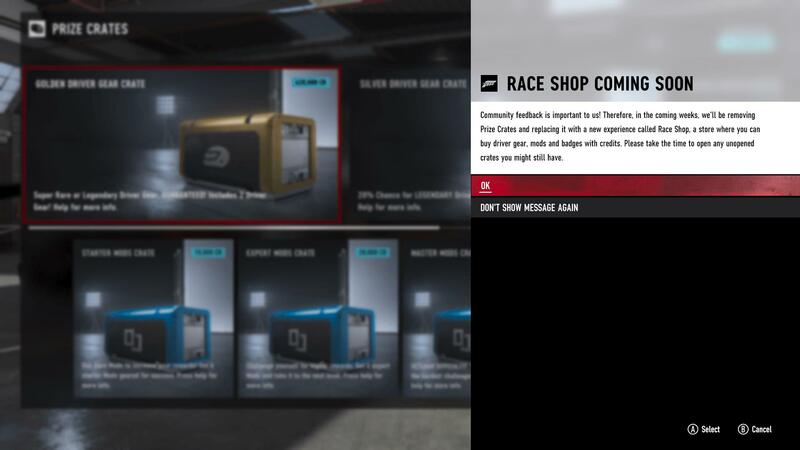 With the release of the October Update for Forza Motorsport 7, developer Turn 10 Studios has announced that it will be replacing its loot box-style Prize Crate system with a new in-game ‘Race Shop’ in November. Details about this Race Shop can be found under the Prize Crates menu in Forza Motorsport 7, and this store will allow you to acquire Driver Gear outfits, Mod Cards and Player Badges with in-game credits once it goes live next month. Turn 10 Studios advises players to open any Prize Crates they may have purchased ahead of their impending removal from Forza Motorsport 7. You can also continue to buy and open Prize Crates until they’re pulled from the game entirely in November. Once the November Update rolls out, the loot box-style mechanic will no longer be found in Forza Motorsport 7, and instead the Race Shop will offer all the same items that Prize Crates used to contain, but instead, these will be purchasable with credits. In a Forza Summer Update from Studio Head Alan Hartman, Turn 10 announced that Prize Crates would be removed from the game before the end of the year. “The overwhelming feedback has been that this system feels out of place in the game,” he said. “After careful consideration, we have decided to completely remove Prize Crates from Forza Motorsport 7.” Similarly, the paid Forza Tokens system that was used in previous Forza games was confirmed to be not coming to Forza Motorsport 7 or Forza Horizon 4. Additional details on the future of Forza Motorsport 7 and what to expect throughout the remainder of 2018 will be shared on the next edition of the Forza Monthly broadcast show, which airs on Wednesday, October 3rd at 1pm Pacific (4pm Eastern, 9pm BST) on the official Forza Mixer and Twitch channels. 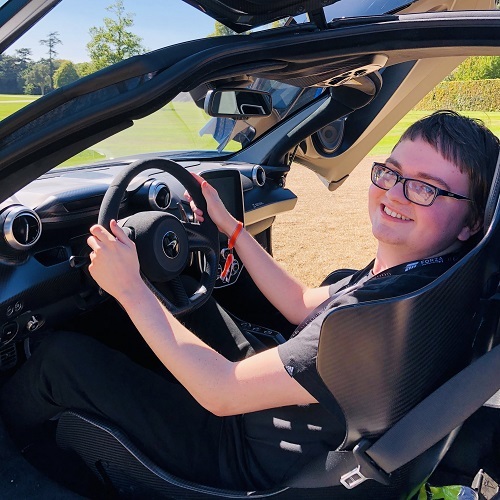 Expect discussion on Forza Motorsport 7, the launch of Forza Horizon 4, the recent ForzaRC Series 2 Playoffs in Mexico City, and of course, the upcoming Forza Racing World Championship finals being hosted in London, England this October. The Forza Motorsport 7 October Update is the latest monthly release for Turn 10’s simulation-focused racing game. 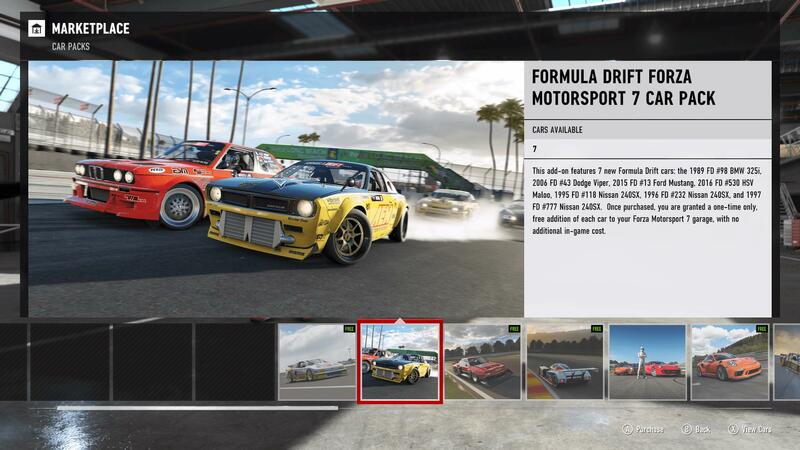 It introduces the cars of the Formula Drift Car Pack, which are also available to acquire in Forza Horizon 4, as well as a new Spotlight car in the 1986 Merkur #11 MAC Tools XR4Ti. Players can also complete a special Merkur Rivals event starring the XR4Ti race car to unlock an all-new exclusive car – the 1999 Lamborghini Diablo GTR!